This coffee will be fresh roasted for you. 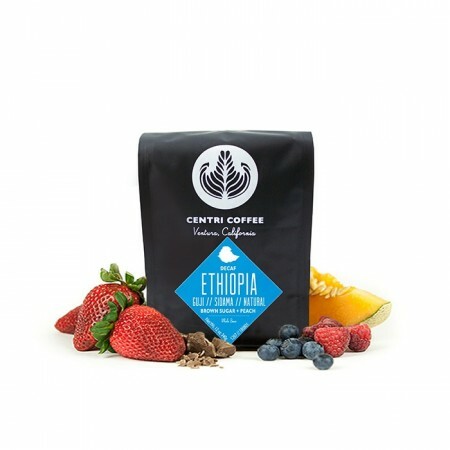 We expect Centri Coffee will roast and ship this coffee in 1-2 business days depending on their roasting schedule. The Ethiopia Guji was blended and roasted for you by Centri Coffee. This decaf coffee from the Guji Zone, Oromia region of Ethiopia and was produced by the small holder producers between 1,200 - 2,100 meters and was naturally processed before being decaffeinated using the chemical free Mountain Water decaffeination method. The cup has a stone fruit acidity of peach with a round sweetness that reminds us of brown sugar.